It feels like Winter is never ending this year, Spring is trying to break through, but the cold, wind, rain and SNOW is all around us. 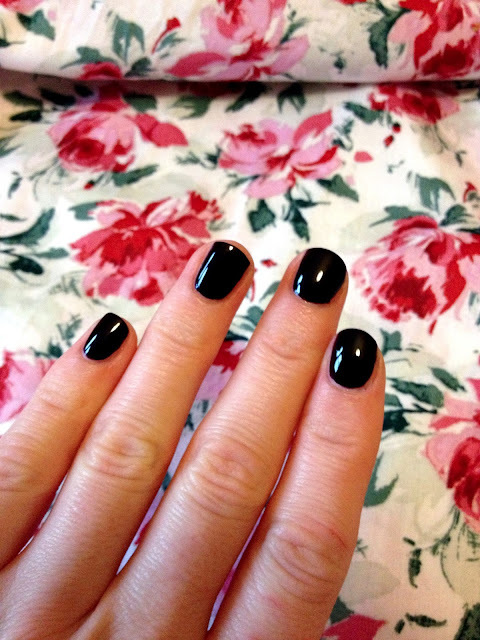 For this reason, I am still reaching for my darker nail polishes. My normal go to would be 'OPI - Lincoln Park After Dark' but after I dropped it I needed a quick replacement. After having a look on the internet, people seem to compare 'Essie - Luxedo' to my firm favourite and I decided to give it a go. 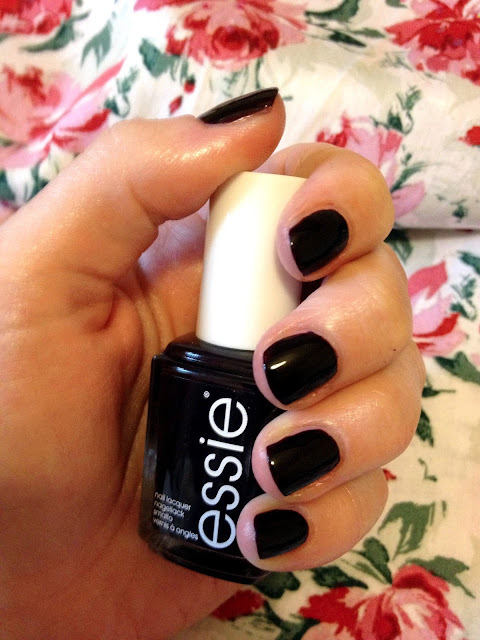 I am a fan off Essie polishes, so I didn't have too much of a problem trying out a new colour. 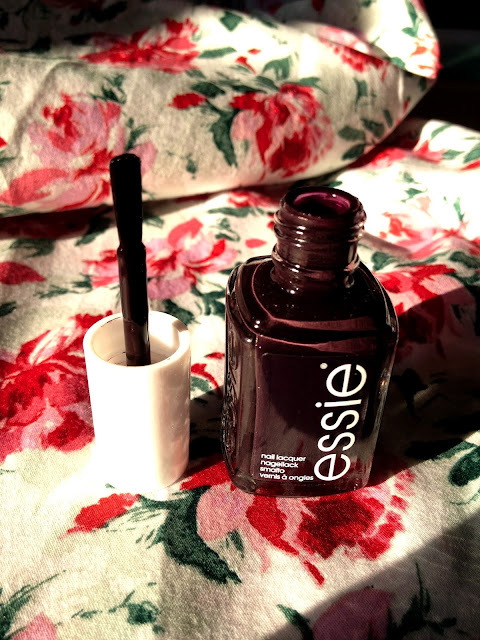 Essie describes 'Luxedo' as "suit up in this deepest plum and boldly go where no man has gone before" and with a description like that, who am I to say no. 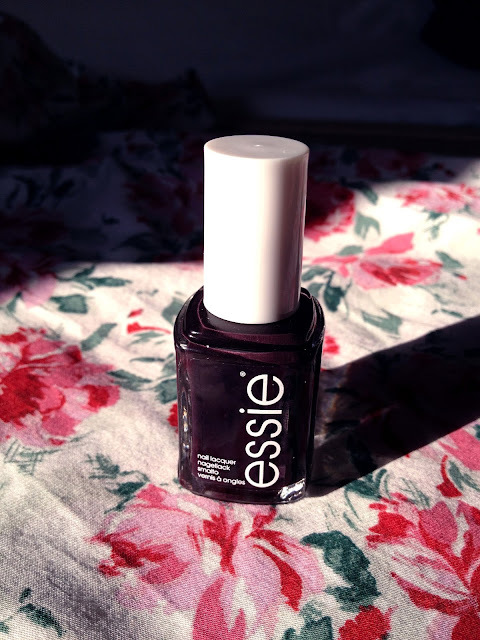 This colour goes on smoothly and I applied two coats, when dried, even though it is described as a deep plum, it could pass for black in some lights. To finish this look I used a fast drying top coat to give the colour an additional shine and lasting power. 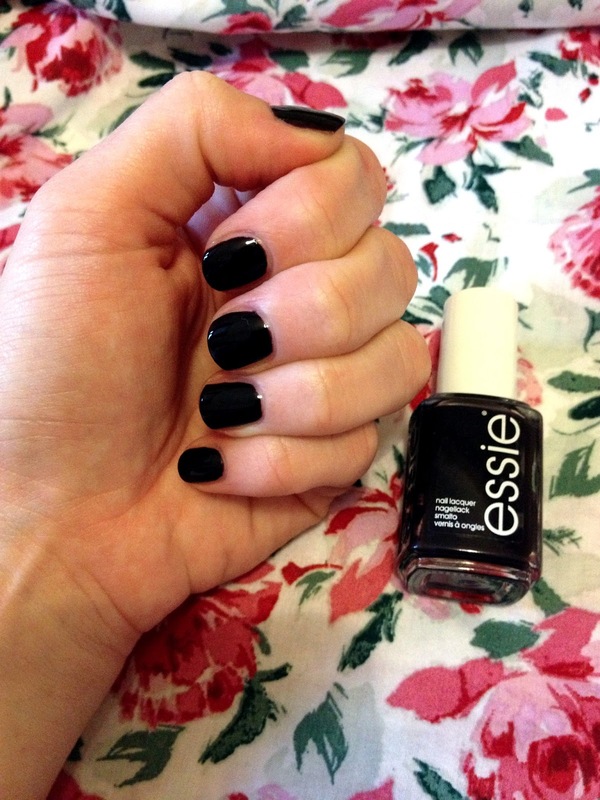 Overall, I like this colour and am happy to use this in the colder months, but Spring, I am ready for some colour. wow i love this colour! so beautiful. I'm not sure how this happened but Ive actually never tried Essie nailpolish. Everyone and their mmother has. Somehow I always seem to gravitate toward Revlon, OPI, and Maybelline. I think it's time for me to try Essie. What is a staple color of theirs that I NEED to try? How have you never tried it?? ;) For Spring/Summer I really recommend 'Tart Deco' it is described as: "chic and modern, this dreamy coral is an artistic burst of colour."